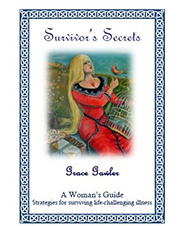 An invaluable book for women; Survivor’s secrets for Women is about Finding and reclaiming your lost ‘self’ during and following life-challenging illness and trauma. 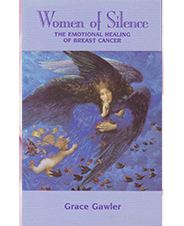 It remains a mystery why some people recover from cancer or other life-challenging illness while others do not. What is it that drives our spirit for survival? What is it that drives passion to persist against the odds? How can we re-engage our passion for living when prognoses are grim and our energy waning? What strategies make a difference? My search led me on an amazing life journey; first studying my own survival, then survival stories of other women. I began to ponder, explore and research the life-stories from thousands of patient questionnaires from my workshops and residential programs. 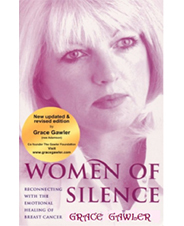 We can learn so much when we pay attention and listen, really listen with full attention to life journeys of other women – those who survived and thrived against the odds and those who for their own reasons; took charge and chose to die on their terms; living well and dying well.